So, um, Go Packers? Cheese head pride? To be perfectly honest, I don’t much care about the football being played at this year’s Super Bowl (sorry, Pops). I’m mostly in it for the food. And maybe the occasional E-Trade commercial. Oh, and the prospect of a new (!) episode (!) of GLEE following the game (don’t judge. You know you’re a closet Gleek). Super Bowl food is just good. It’s salty and tangy and creamy and cheesy and… salty. And it doesn’t apologize for being so. The Super Bowl says, give me some wings. And some blue cheese. And guacamole. And some beer and a pizza and some chips. Chips, dammit! With dip. I know it’s easy to find good pita chips at the grocery store, so if you go with store-bought I’ll understand, but I feel obligated to tell you that making your own is just so much more fun. And your game day friends will really appreciate you going the extra yard. You know, for the first down. *Note: Za’atar is a Middle Eastern spice mix made up of dried herbs, sesame seeds, salt and sumac. You can find it in specialty shops or else you can mix up your own. Preheat the oven to 375ºF. In a medium bowl, combine the olive oil and spices and mix to combine. Cut the pita breads into wedges (1 small pita bread should yield 8 wedges), and dip each wedge into the oil & spice mixture until fully coated. 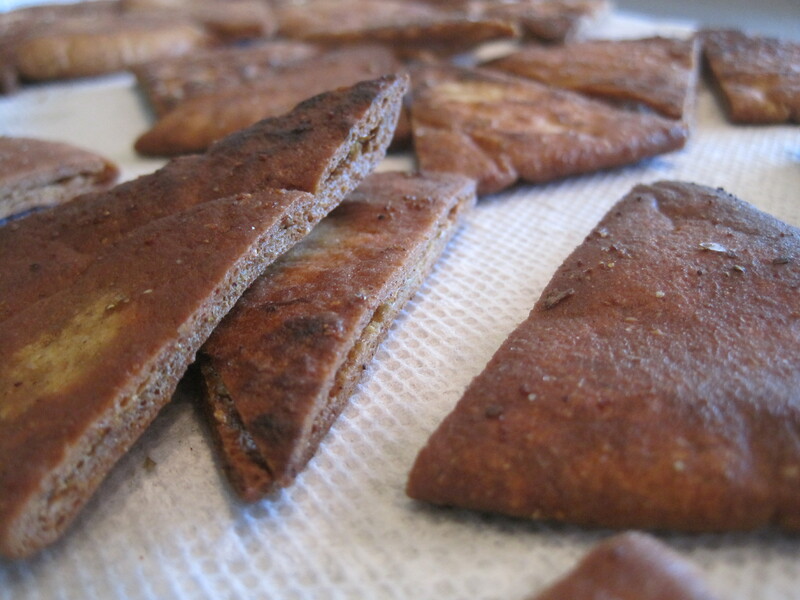 Place pita wedges in a single layer on a baking sheet or two. Bake the pita wedges in a hot oven for about 7 minutes (or until lightly browned), and then use tongs to flip each wedge, and cook for another 7 minutes, until chips are brown and crispy. Remove the chips from the oven and let cool. 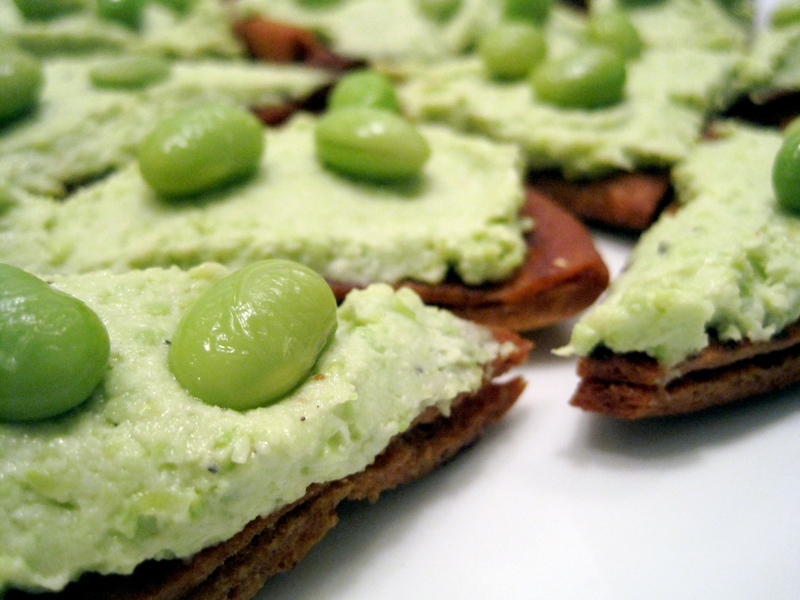 To make the edamame dip, toss the edamame beans, mascarpone, garlic, salt and pepper, and a splash or two of olive oil into a food processor or blender. Blitz on high until chunky but starting to combine. Drizzle in more olive oil, a little at a time, as you continue to blend, stopping when the mixture is smooth and creamy. Taste the dip and adjust the seasonings – feel free to add more garlic, salt or pepper as necessary. Serve with homemade pita chips. 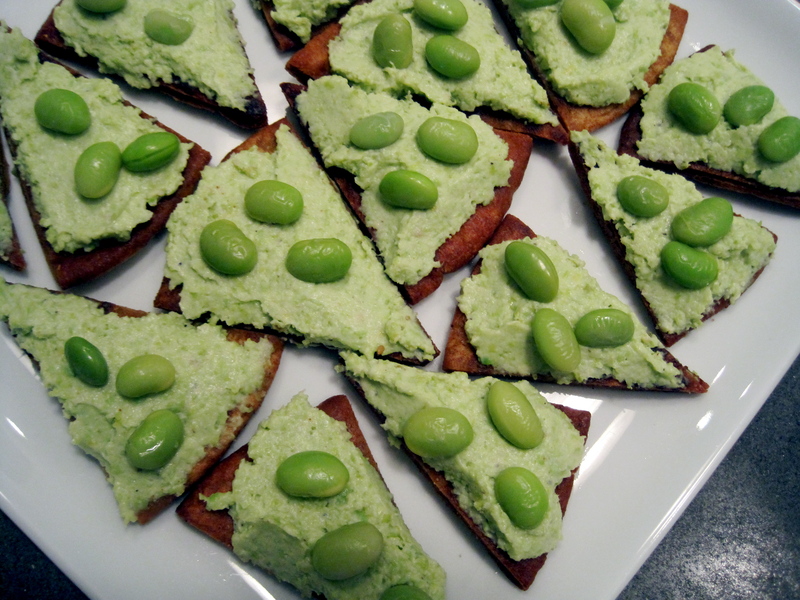 Makes about 3 cups of edamame dip and roughly 64 pita chips. ok…. i'm not offended. what's that about six pack?…. when can i eat this?